Home › Substance Abuse Counseling › Who Needs Trauma Focused Cognitive Behavioral Therapy? Not many people have heard of Trauma Focused Cognitive Behavioral Therapy. Scientists developed Trauma Focused Cognitive Behavioral Therapy in the 1980s as a way to help people overcome Post Traumatic Stress Disorders. Its first applications were to provide children who were sexually abused a comprehensive family and individual therapy solution. Now doctors primarily use this type of therapy to help children and their parents to overcome traumatic events in their lives. How does Trauma Focused Cognitive Behavioral Therapy work? 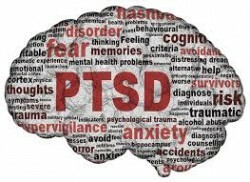 Trauma Focused Cognitive Behavioral Therapy helps patients process traumatic events. control the stress associated with these events. This type of therapy uses stress management and counseling techniques to help children deal with emotions brought about by these events in ways that are not destructive, violent, or negative in any way. teaching a child to deal with future traumatic events or the consequences of this one. These components work together in a way that helps the child and parent deal with the traumatic event in a healthy constructive way. It uses child specific sessions, parent specific sessions, and combined parent and child sessions to accomplish this. Who Benefits from Trauma Focused Cognitive Behavior Therapy? o any other tragedy that happened to the child or adolescent. relatives or other family members who need help caring or dealing with a child who has experienced trauma. Although others benefit from trauma focused counseling, these are the main groups normally benefited by it. Each individual is different and therefore no one type of counseling fits every situation. Why use Trauma Focused CBT? According to the Substance Abuse and Mental Health Services Administration, as with any type of therapy, Trauma Focused Behavioral Therapy works for a variety of groups and situations regardless of ethnic, social, or economic backgrounds. The program is adaptable to every culture and religion. Although many programs leave special populations out, this particular program is available for the hearing impaired, visually impaired, and other disabled children. These are valuable skills and management techniques for the whole family to engage in. With children, it is difficult to find a method that works well. TFCBT is extremely flexible so it works where other more strict therapies do not. relaxation techniques – gives children and parents the basics of relaxation and the tools to build on it. education – educating both the child and the parent about the impact the event and what they can expect. These components all combine to help both the child and the parent or caregiver to cope with trauma. Not everyone is equipped to deal with a person who is exposed to a traumatic event, especially when it comes to children. Most people do not have the knowledge or the skills to help when it comes to a traumatic event. Trauma Focused Cognitive Behavioral Therapy provides you the tools to deal with child trauma. For more information about this and other therapies, call use at 800-895-1695. 10 Benefits of Seeing an Addiction Specialist - Looking for support? Try an addiction specialist. Benefits of Drug Addiction Counseling in Addiction Recovery - Counseling is an essential part of drug and alcohol addiction recovery. It is through the use of counseling that people are able to heal from addiction and learn to lead a life without the use of substances by recognizing triggers, developing healthier habits and much more. Benefits of Family Therapy in Addiction Treatment - Family involvement can help increase one's chances of a successful recovery while in addiction treatment. How Can Family Therapy Help Me Make It through Rehab? - In family therapy, the family unit works toward specific goals in order to improve the communication and overall quality of their relationships. How to Choose a Substance Abuse Counselor - Substance use disorders can be difficult to overcome. Professional substance abuse counseling is a huge help. Counselors are often in recovery themselves, and can be great allies as you embark on the road to addiction recovery. Individualized Drug Counseling as a Form of Substance Abuse Treatment - This form of counseling focuses on more than just the substance abuse problem, leading to improvements in all aspects of the patient's life.